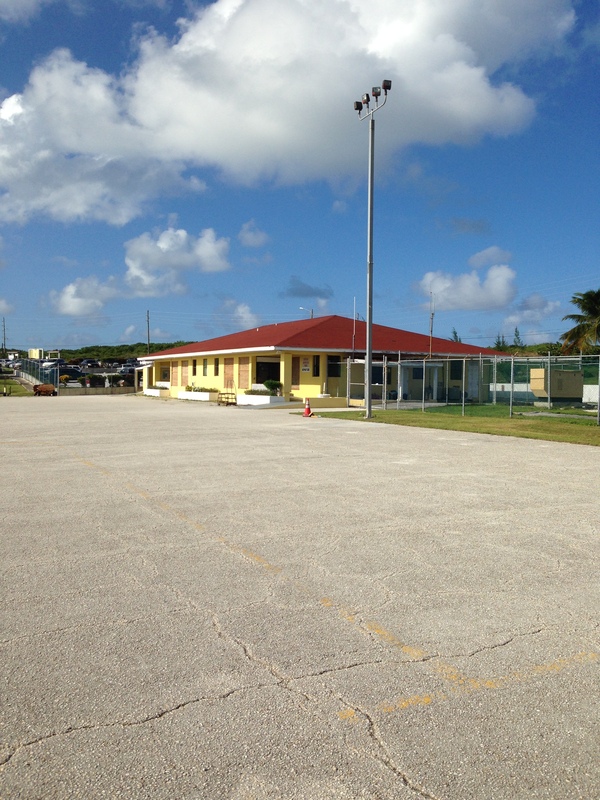 This past weekend, I had the opportunity to fly with Bahamas Habitat to Eleuthera, The Bahamas to attend the dedication of the Gary London Vocational Training Centre (British spelling there) at the Campus of Camp Symonette and deliver supplies to Bahamas Methodist Habitat. I flew down with Steve Merritt (Great Commission Aviation Board Member and Bahamas Habitat President) in a twin-engine Piper Aztec. My chariot to The Bahamas. Piper Aztec. We left early Thursday morning and flew from Raleigh to Orlando, Florida. 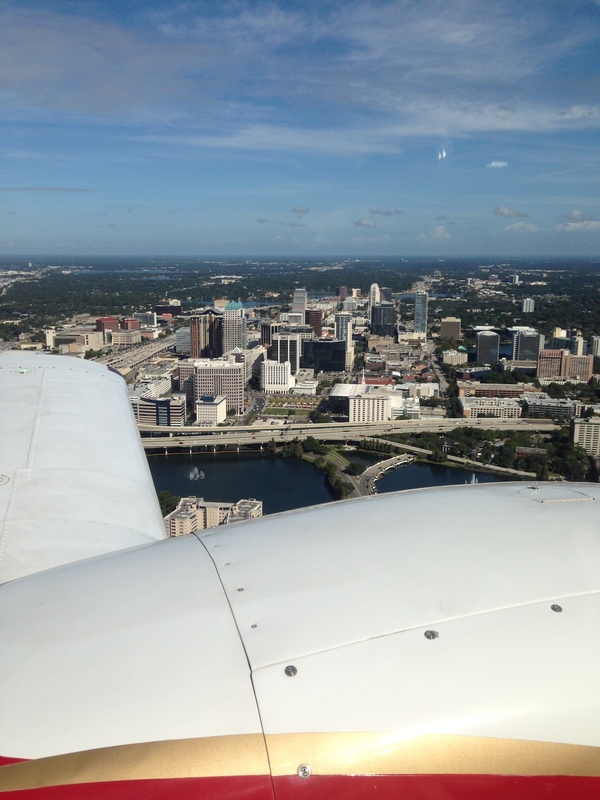 This is the view from my seat of downtown Orlando on final into Orlando Executive Airport (KORL). 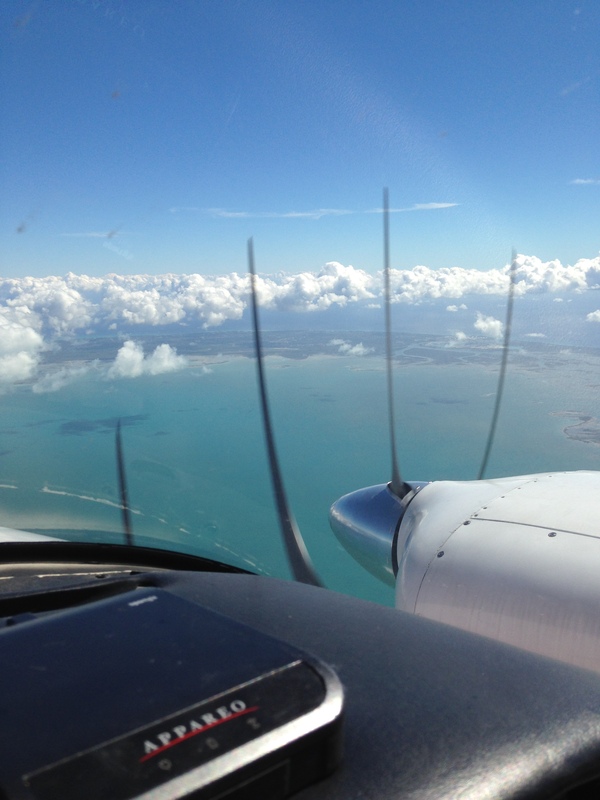 We took on two passengers for the flight to Eleuthera and departed around 2PM. 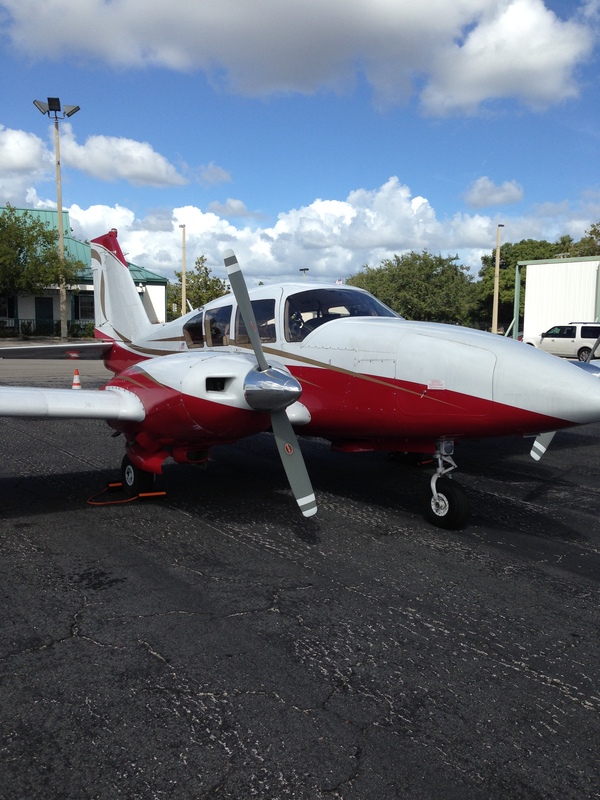 The flight from Orlando to Eleuthera is only 2 hours in the Aztec; we cruised around 160 knots (184 mph) groundspeed. You do go over the Atlantic and are outside of sight of land for less than half an hour. Because of this, we wore life vests during the flight. Customs building. Note the boarded-up windows. Our accommodations for the weekend was Camp Symonette. 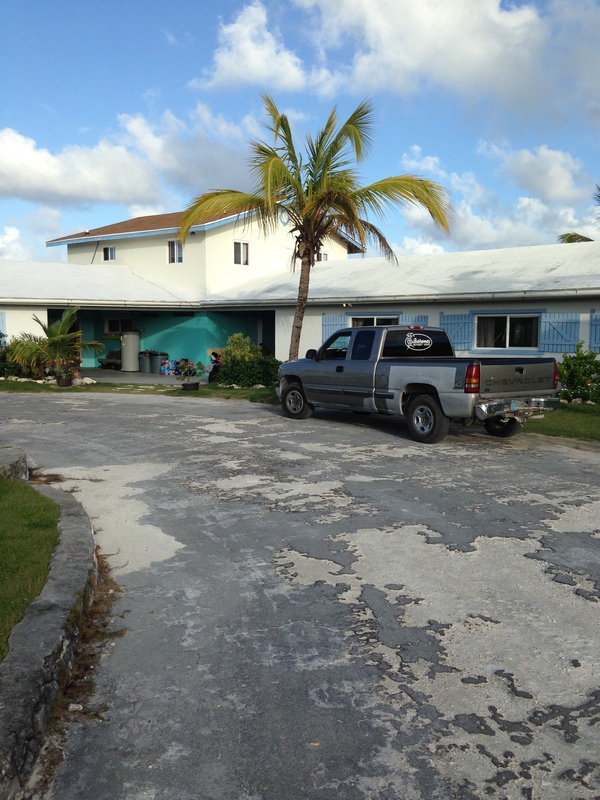 This camp is owned by the Bahamas Conference of the Methodist Church and hosts mission teams who stay and assist with sub-standard housing repairs on the island. It, of course, is open to any mission team, since this ordained Baptist minister was welcomed. Let me tell you the food was great as it was cooked/catered by locals. The bugs weren’t too bad as long as the wind continued to blow but I have a constellation of No-See-Um bites on my arm from the times when the breeze stopped (No, Skin-So-Soft did not work). Back to flying. One highlight of the weekend for me was the chance to fly a Columbia 400. This is the nicest airplane that I have ever piloted. 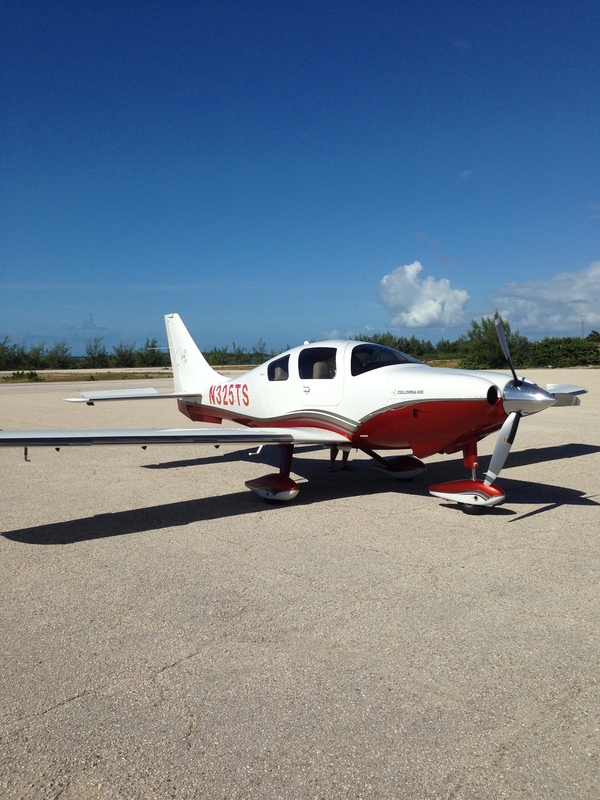 It is owned by the benefactor of the vocational center above, but she doesn’t like to fly and let her pilot have a free reign of the airplane for the days we were on Eleuthera. Her pilot offered me the chance to fly the plane and I jumped on it. Columbia 400 that I flew. 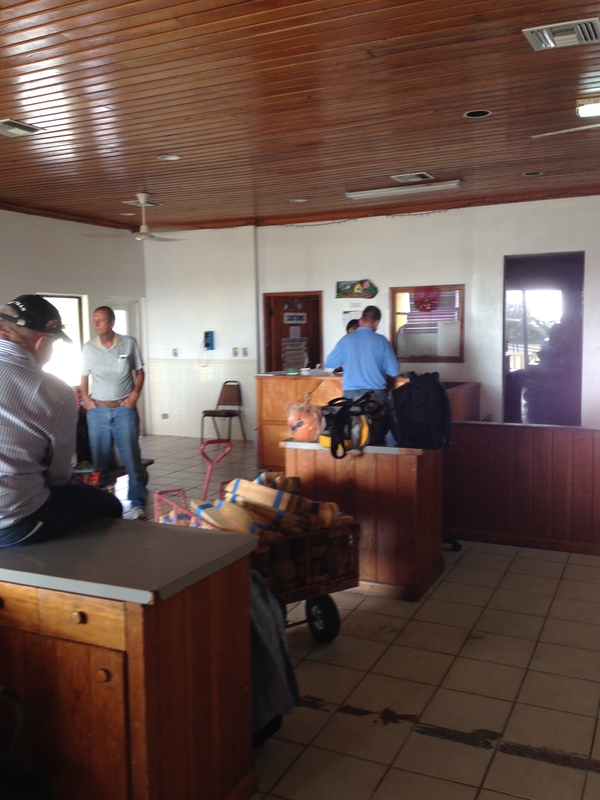 There are only 27 residents on the island who work for a small resort and restaurant. 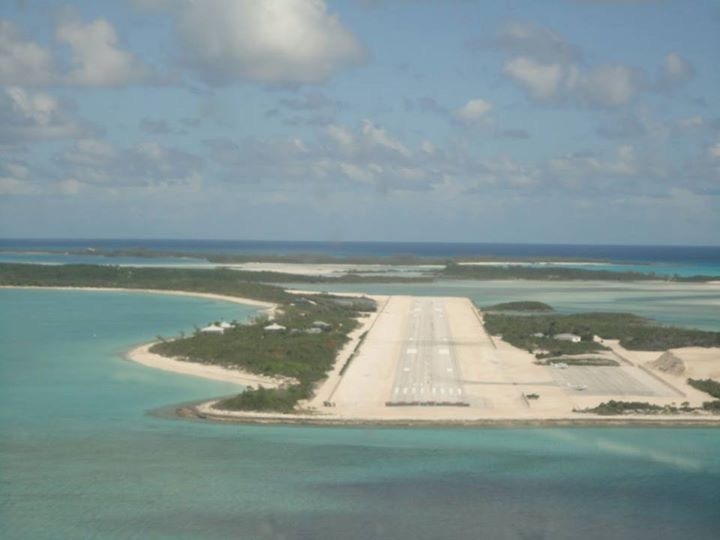 They are expecting big things for the resort, though, by the investment they have made in the runway. 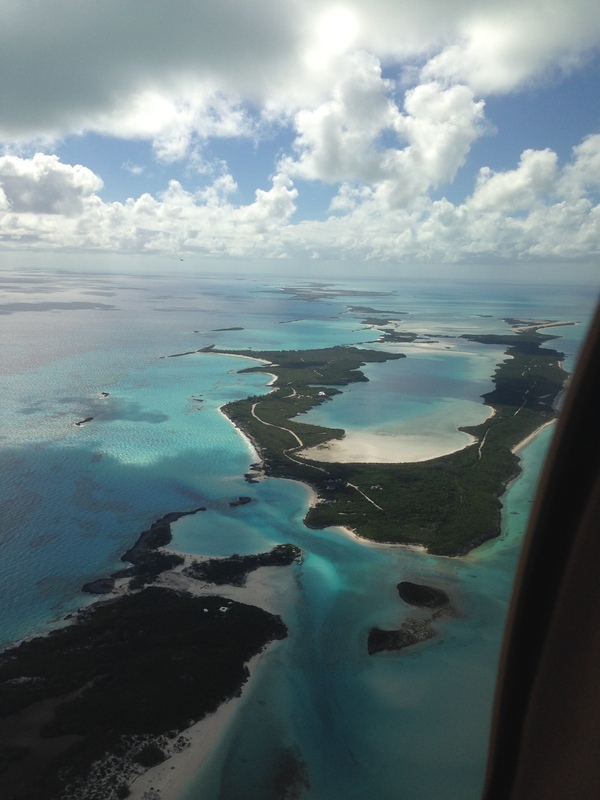 On final into Norman’s Cay. The restaurant was really good for being completely isolated from any supplies and the Cay was postcard worthy. Norman’s Cay from the air. Ocean view from Norman’s Cay. 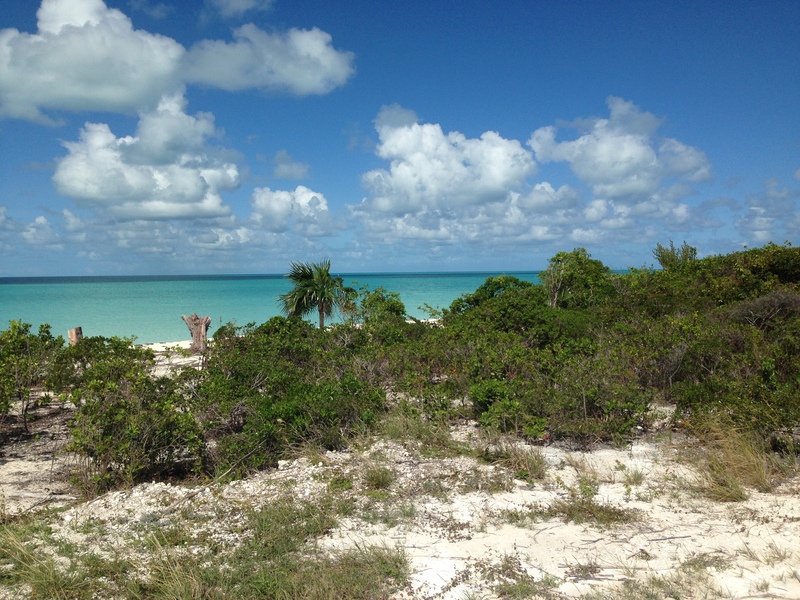 We spent a couple of hours on the Cay and then flew back to Eleuthera (about 50 miles). 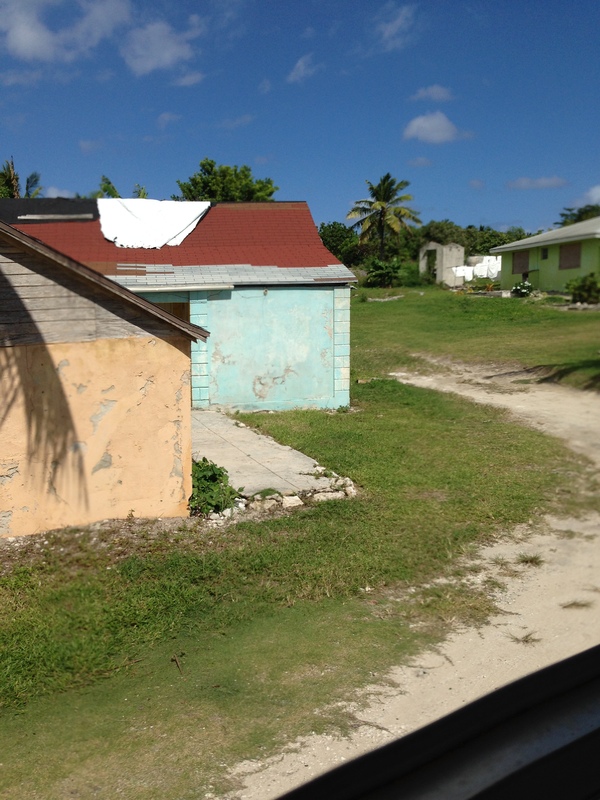 We left Eleuthera on Sunday morning and flew back to Raleigh. We encountered some pretty heavy tropical precipitation from Daytona Beach to Savannah, GA where my instrument-training came into practice. I really enjoyed the trip and we see some great opportunities for Great Commission Aviation students to gain real-world mission experience flying to Eleuthera and assisting organizations there in both re-supply flights, vocational training, and ministry assistance. 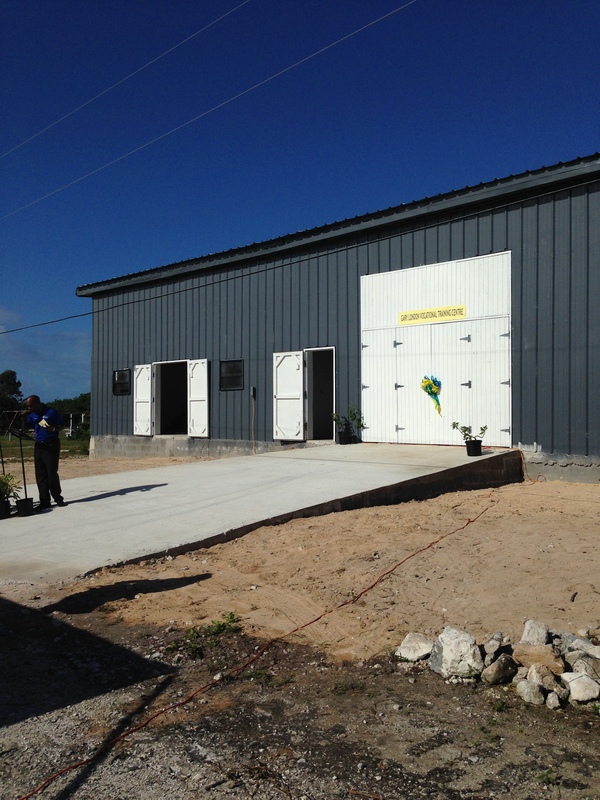 I can’t wait to see what God is going to do with Great Commission Aviation, Bahamas Habitat and The Bahamas. 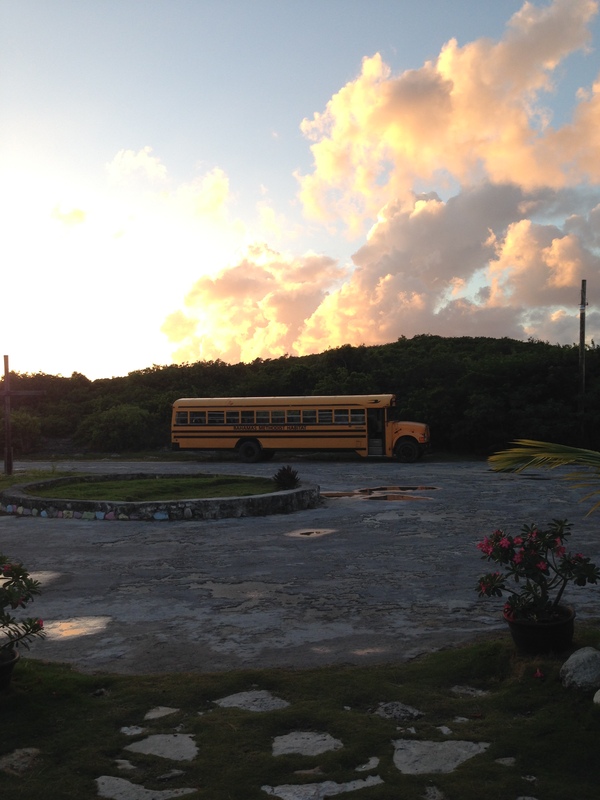 Final sunset on Eleuthera with the “airport shuttle” in the background (really the camp’s bus).